This page introduces numeracy and numeracy-related topics such as quantitative literacy and quantitative reasoning. 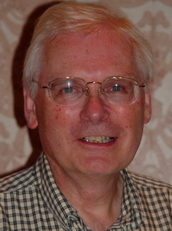 Peter Homes (pictured above) noted that numeracy was first used by the British. Lynn Steen: Co-founder of NNN, written extensively on need for quantitative literacy in higher education. Adult Numeracy: part of Adult Basic Education. Numeracy Books: books that focus primarily on numbers and their graphical representation. 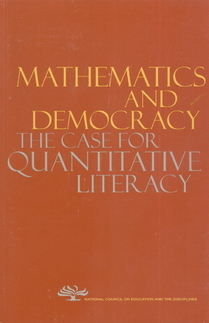 Q/L Resources: Those books and related articles that supported the development of quantitative literacy. Q/L Textbooks: College textbooks that focus on Quantitative Reasoning and Quantitative Literacy. NNN's Numeracy: Content of the NNN's peer-reviewed journal: Numeracy. Highlights of conferences (ICOTS, JSM, JMM), books & articles involving statistical literacy.